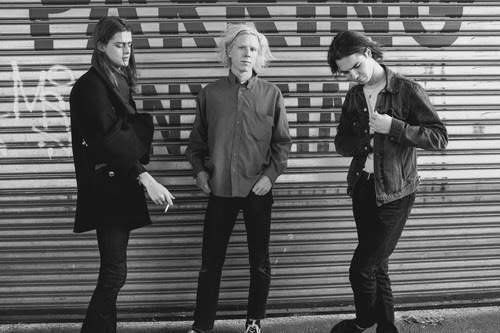 Hampshire trio Blaenavon have delighted fans with news that their sophomore record is nearly complete. The band are currently working with Catherine Marks (Foals, Wolf Alice, St. Vincent), who was recently voted the prestigious Music Producer Guild’s Producer of the Year. Speaking about the tour to DIY.com the band said "I think we’ve all missed the lifestyle a lot. You live in a weird little bubble where your day is nicely structured and I’ve missed that. And we get to go to lots of places we’ve never been before which is nice. Bringing music to the people!" 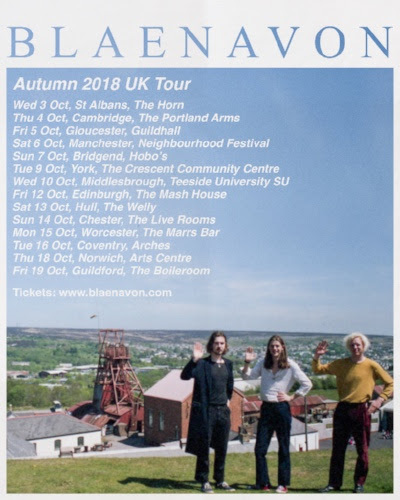 Tickets priced at £10.00 are on sale Thursday 12th July at 10am, available from www.blaenavon.com.